Home / How to Eat Alkaline – Plus Cooking Tips / Deficiency of This Healthy Fat May Contribute to 96,000 Premature Deaths Each Year! 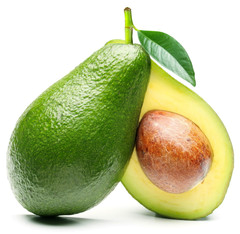 Deficiency of This Healthy Fat May Contribute to 96,000 Premature Deaths Each Year! I can’t tell you how many clients come into my office looking to lose weight, and the first thing they do is cut ALL fat from their diet! Not only will you NOT lose weight – but your health will suffer for it as well! In fact, according to a Harvard University study in 2009, a deficiency of the fat we’re going to talk about today can cause or contribute to serious mental and physical health problems, and may be a significant underlying factor of up to 96,000 premature deaths each year in our country, more deadly than excess trans-fat intake. I think this one is worth looking into! Understanding that it’s essential for your body to have good, healthy fat is light years ahead of the war on fat we’ve witnessed over the last few decades. As research has advanced and opinions have evolved, more and more of us are no longer afraid of fat and instead, embracing how important fat is to our fundamental health. So today, we’re going to talk about the fat that your body absolutely requires to be healthy. Without this fat, you’re living in deficiency, which means out of balance, out of control, and just plain sick. What is this healthy fat that’s such a necessity? Omega 3 Fatty Acids. A couple of weeks ago, I told you about a day in the life of the 80/20 alkaline lifestyle. One of the things I do every single day is take Omega 3. Today, I’m going to delve further into why it’s so important and what exactly I recommend you take. 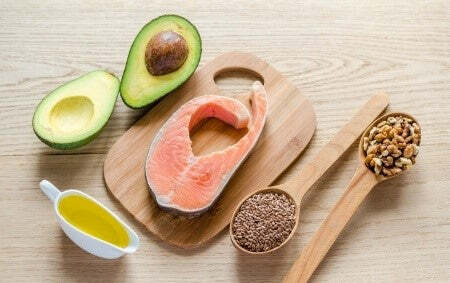 If you want to be healthy, lose weight, get rid of chronic inflammation, and have optimal energy, it’s important that you get the recommended amount of these healthy fats daily. That’s a pretty terrible list, so plain and simple, this is not something you want to mess around with. OMEGA 3s, PREGNANCY, AND YOUR UNBORN CHILD! And it’s not just adults, and not just children for that matter – even the unborn baby can become deficient in Omega 3s during its most crucial time in development, and that is when the brain and nerve system is formed in utero. If the mother is deficient in this most important nutrient, then so will the unborn baby. A 1991 study at the Mayo Clinic focused on 19 "normal" pregnant women consuming a typical "American diet," and it showed that ALL were deficient in omega-3 fats. Because we cannot form omega-3 on our own and must get it from an external source, it becomes ESSENTIAL for a woman who is pregnant to supplement. The developing fetus must obtain all of its omega-3 fatty acids directly from its mother's diet, and as I mentioned, if a mother is deficient, so will be the developing baby. A mother's dietary intake of DHA (Omega 3) directly influences the DHA level of the developing baby, thus impacting the child's brain development and eye health. Furthermore, and perhaps most significantly, the research clearly shows that children born to mothers who are deficient in omega 3 fatty acids have neurological development impairments. Scientific research also demonstrates that children born to women who are sufficient in omega 3 fatty acids can avoid these problems. In addition, children who supplement with Omega 3 fatty acids have been shown to have less allergies, less eczema, learn better, and be less likely to have ADD or ADHD. Fortunately, it’s really easy to get the fatty acid support your body needs. Let’s take a look at each one of the fatty acids and what foods and supplements you’ll find them in. Known as an Essential Fatty Acid, which means your body requires it to be healthy. In fact, it’s extremely important in the function of every cell in the body. Studies have shown that Omega 3 inhibits cancer cell growth. The human body cannot make Omega 3 on its own, and it’s the fatty acid we are most deficient in. This is why it is essential that we supplement it in our diets. Omega 3 from fish oil is optimal because it is an immediately usable source of Omega 3 Fatty Acids (DHA), whereas plant-based Omega 3s (ALA) has to go through conversions in your body that requires enzymes, time, and energy. Ultimately though, both forms are important and I recommend you ingest some of each. The advantage of plant-based Omegas, for example UDOs oil, is that you get the Omega 3, but also the Omega 6 and 9 that you don't get with fish oil. Also an Essential Fatty Acid, which means your body requires it to be healthy. I literally have 1 to 3 tbsp. 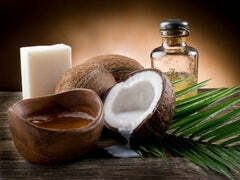 of coconut oil every day, and I think that this oil is SO important that I included it in my NEW AlkaMind Organic Daily Protein that you will be seeing on this web site in the next month. The coconut oil helps you metabolize the protein better, burning more fat instead of sugar, energizing your body, and helping you recover faster from your workout faster! So now you know where to find the fatty acids your body so desperately needs, which brings up a couple of key questions. What fish oil supplement should you take? It’s really important you take a high-quality fish oil supplement. Inferior fish oils may be high in mercury or unstable. Take a fish oil that is extracted in a licensed, GMP facility. Ideally, it should come from cold-water anchovies and sardines that are the purest, least toxic source of omega 3 fish oil. I do NOT recommend Krill even though you are hearing so much about it. It is a much bigger molecule than the fish oil, and because of that, about 25% of the American population cannot absorb it. Also, the supplement should be manufactured in a dark glass bottle to prevent oxidation as much as possible. I recommend a dose of 780mg EPA, 540mg DHA each day for a total Omega 3 intake of 1,320mg. That’s higher than most recommendations, but in order to combat the bad fats that the modern American diet is so filled with, you need more good fat. In addition to fish oil, I recommend you supplement with a plant-based Omega 3 source as well, so you’re getting the Omega 6 and 9. Chia, hemp, flax, or UDOs oil are great sources. So I hope if you’re not already taking an Omega 3 supplement, you’ll go out and get one today to start improving your health and prevent the diseases we talked about above. And if you have been taking Omega 3, make sure it’s a really good quality supplement at the right dose.